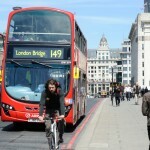 Case studies - how has your electric bike changed your life? i haven,t had my kit on my commuter bike for very long but already it,s enabled me to use my bike more often and for more things. if it,s very windy i now use my bike when before i would have used my scooter. i can carry a lot more items and my panniers are a permanent fixture. i bought a trailer last year for various tasks amongst other things for carrying my dogs but it was too hard going and i was at the point of selling it , but not now. as a regular commuter / leisure cyclist i found recently i was getting fed up with almost permanent windy conditions and although not impossible to ride in the phycological effect was very demoralising and i was starting to cycle less and less. the kit has removed this feeling and i hope it continues and that it,s not just that the novelty hasn,t worn off. to the folk that say it,s cheating , i,d say how did you get to work? and the answer would invariably be by some fossil fueled method. finally hybrid cars don,t seem to get as much bad press and in some cases are the in thing, well an electric bike is a hybrid vehicle also it,s just that the non electric part of the hybrid is human power. surely that can,t be critisised. Nothing sensational here, I'm afraid ... we have push-bikes and do all our local shopping on them. Plus some leisure and some work. We wanted a folding cycle for some uses eg fetching the car after a night in the pub and a taxi home. My wife suggested a Brompton. I got us an electric folding - and I use it quite a bit, both for its intended purpose and for general run-around. My wife has a back problem and will use it sometimes - or we'll go out together, she will cycle normally and I use the electric so she has a choice if needed. I had an accident that left my feet & legs at less than optimum. I now suffer from advanced, chronic arthritis in my left foot. I walked into Decathlon to buy a low-end 'mountain' bike, and came out with their last e-bike, an elops hybrid, with front drive. It was the display model, & I managed to 'bully' them into a really great price. The pedelec system is superb, once the system is switched on, there's nothing else to do, just pedal. This machine is still giving sterling service, even though I've been using an ordinary 'manual' bike for this last year. The extra exercise I get keeps me going, as I'm an old git. The feeling of being 'towed by a rope' is quite unique to e-bikes, and encouraged me to travel further & further afield, eventually doing so on my 'manual' Raleigh Pioneer. I have just (I think) fixed what might be a bad connection on my elops, and am just about to put it to the test... It's mad hot in Manchester at the mo, so if the electrics fall over, I might have a sweaty afternoon of getting home using leg power alone... Without electrons to assist, it's a bloody heavy beast, but only compared to the average machine, it's not stupidly heavy. All in all, an e-bike got me back into cycling. Recommended to all those who are just thinking of buying one, possibly due to ill health, and are not wanting to use a buggy, yet. Just do it, you won't regret it. I think the stories here are great, a real insight into the value of e-bikes. I wanted to add in an angle not expressed yet and that is the younger (ish) demographic starting to discover just how fun e-bikes are. I'm in my early 30's and keep fit going to the gym and playing basketball. So when I decided to ditch my car I could have chosen a 'normal' bike to get myself to work and back, instead I went for an electric bike. Why? 1. because i'm a gadget freak and e-bikes satisfy my inner geek, and 2. because e-bikes are fun to ride. There isn't the same 'serious hobby' snobbery that seems to surround standard bikes - who cares what my cadence is, I just whupped you at the lights! Also if I have pushed myself too hard on the basketball court and want to sit back and let my bike get me home, I can. Electric bikes are getting prettier every year and if the murmurs from my colleagues are anything to go by i'm sure will soon draw more e-cyclists to the roads. I’m looking to publish a few stories on the home page ‘news’ area to give examples of the various reasons people buy one and therefore the benefits of e-bikes. We had this great example a few months back of getting heart-patient Nick back in the saddle. I’d really like a whole host more to show all the different reasons to spur others on in similar situations to try an e-bike. Dodgy knees, cracking on a bit (it comes to us all! ), wanting to get fit, commuting, other health issues.. I’d like to publish people’s experiences in their own words. How they chose their bike, what they do with it, how it’s changed their lives. It certainly doesn’t have to be expertly written and I’d like to show ‘every day’ people with ‘every day’ problems, as well as anything more unusual that their e-bike has overcome, hopefully with a picture of you and your bike too. I have PMd a couple of members already discussing their experiences on here, so still hoping they’re not going to be shy.. Similarly if any businesses are using e-bikes I’d like to hear about that too. Please PM me if you'd like to share your story. Hi. I work as a bike mechanic in the Tirol, Austria. I took the plunge this year, ditched the car and have rocked up nearly 5000 km since easter riding to work on my Haibike. i've got last years motor with only a 300 KW hour battery ( so i need to keep an eye on the range if the wind is blowing the wrong way) but it goes like a rocket and as I ride with a pulse watch I keep it on the limit all the time. The thing is I loose about 50 minutes a day on the travel time but I get home and feel..... good. Thats it. Good. Blood preasure, resting pulse etc.. are amazing (pulse watch helps) and it is not a chore. I use the motor about 30 % of the time but at the end of the day I do the 650 meter climb and get home to the family in a sensible time. I run a BOSCH system and it just sits there in the background. Great. It is a 2014 model and i have had to re grease the gears twice but that is due to a BOSCH defect in the manufacturing process and they pat the local bike shop (or me) to rectify the problem. What is amazing is whe you do have time, and for many of us thats not often, you jump on, shoot up a mountain, kill loads of colories (according to SUNNTO) and have soooo much fun. I do wish my bike would go faster but I have also been sat in enough traffic jams to know otherwise. I've just been out for a ride to test whether commuting is feasible. I have a 26-mile round trip over hilly terrain, and although I have been assured the bike will do it no problem, and the likely time (around an hour each way) is reasonable, I didn't know how it would make me feel. It's a long time (30 years) since I last commuted by pedal cycle. Energy levels are well down, knees are creakier, lower parts have lost their saddle-hardness, etc etc. Well, I got home and had a pint of orange juice to celebrate. I feel absolutely great, elated, totally on a high, ready to take the world on. I'm someone who hates exercise. I never liked playing sport, and found running totally boring, but I always loved cycling. And I am delighted to discover that I still do. What a wonderful way to spend an hour on a sunny morning. There is no point to this post, other than to say that I feel 110%, love my ebike, and am thrilled that cycling has lost none of its pleasure for me. I have two chronic physical disabilities and only since my 8 fun kit has stopped working have I realised just how important it has been. I have Rheumatoid Arthritis and syringomyelia. The bike hasn't just been transformative in supporting me in work it'd helped me exercise which has supported me with physical fitness. Since my bike has stopped working I have been in more physical pain and have had major disruptions to my sleep. I really hope my bike can be fixed and I can get back to riding very soon. A month ago I managed to persuade my missus to let me bu my dream car a VW Scriocco ;leather heated seats, sat nav, Bluetooth all the gadgets etc. Unfortunately it developed a gear box fault the first week and ended up in the Garage for nearly 12 days. At the time there wasn't any courtesy cars available so I thought I'd dust the old mountain bike off out the garage and cycle to work. My commute is about 7 1/2 miles with one large hill and another not so large which is why I had been reluctant to attempt to cycle in before. Anyway first attempt into work it took me 1 1/2 hours as I had to stop for a 10 minute re-coupe and felt like passing out at one point. Google maps said should of been 50 minutes on a bike. Whilst at work I herd on the radio about a local council cycle to work initiative where they loan free of charge a electric bike for 3 months. 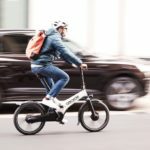 So I gave them a call and a few days later a man in a van dropped off a nearly new Raleigh Motus e-bike with the 2014 Bosch system. My first attempt into work and I did it just under 30 minutes and didn't need a stop. In the car with the usual traffic it normally takes me 20 minutes. At the moment it actually take longer as Rotherham council for the next 9 months have decided to dig the main road up on my route. So the following week I did three out of five days on the e-bike and the next I did the same. Got my car back that week but didn't really used it that much and this week I've cycled in all five day's. At the moment I'm really enjoying it. That may be because the weathers been so good in September and I've not had to use the water proofs I bought yet. I just wish I hadn't spent so much on my new car and saved a couple of grand to buy my own electric mountain bike. The guy who dropped the bike off did say I would probably have it more than three months as no body will want one then until next year so fingers crossed. The Motus is an awesome bike. My wife got the low step version, and I wanted the crossbar type, but none were available for several months. I'm happy with the Wisper, but I would upgrade to a Motus tomorrow if I could get one. No serious cycling for years. Got a Chinese bike and saw the potential but returned it as it was crap. Moved onto second hand BH with Panasonic motors. My cycling went up and up. Realy began to enjoy the bike and did all the steep hills. Then hit by a car. Broke my arm badly at the wrist. Had to give up the traditional shape bike and moved onto a recumbent. Well it is as fast as an electric on reasonable ground. Realy fast on flat or down hills. This is the signature block, a general information message, not a reply to specific posts. I,m dyslexic making fun of that says a lot about who? Had a Kalkoff pro, two BH sports and oneSalisbury. Now got a Challenge Wizard,8 spd Alfine hub 20,26 SWB OSS Recumbent. No electricity except for lights and navigation. The simple truth (that so many users have found) is that ebikes have now enabled a much wider range of people to enjoy cycling, and therefore cycle further and much more regularly. 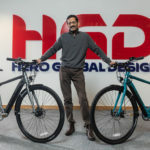 The pitch was queered over the past few years with the early lead-acid batteries and very heavy frames that were too heavy to manhandle and pedal, but now we have a huge range of truly dual-purpose bikes that have hardly any weight handicap. Portable electric power is getting there at last, with lithium batteries and sophisticated phase switched motors. I raced for a living, finishing my career as the state RR champion. I worked professionally as a cycling coach, taking care of myself and aspiring champions alike. Everything in my life was turned upside down in a heartbeat. I lost my ability to race. I lost my ability to ride with my friends. I lost contact with so many. I survived what few ever do, an out of hospital cardiac arrest. I laid in front of my friends clinically dead. The FD deserve every bit of respect they get. While it took several months to gain the courage to get on a bike again, I wanted to get some of my life back. When I first rode a pedelec, I was all smiles, realizing what it meant. I could ride with my friends again. I am working on building a pedelec because I want others to get a chance to live their life again. This community is filled with so many talented and enthusiastic cyclists. Thank you for having me. hope you go from strength to strength. it,s great that you are riding again and in contact with like minded people. i know people who have been keen competative cyclists but for medical reasons could no longer ride a non electric bike. it was a catch 22 situation because to improve healthwise riding a bike was the way to go , but they could not get started on a regular bike. the electric bikes changed all that. Thanks steveib. I'd love to take down those barriers. It's a struggle though. I'm still battling my personal issues around exercise. I'm in the tail end of a masters program for exercise physiology. When in class, I would read paper after paper talking about individuals who could reverse or rehabilitate from a serious condition but choose not to. Choosing not to is not a stubborn active choice, rather it's a choice based on the weighing negative perception, discomfort, and lack of social support. I do want to help those individuals who could use some help to re-engage themselves in a healthy active lifestyle. However, I am torn, feeling like a little kid jumping up and down, crying "this isn't fair", knowing that I can't fix myself with any exercise. Rather, my heart is just going to be falling apart more and I'll be getting myself closer to having complete heart failure with each strenuous beat. That said, I'm still around and with a purpose. I hope, with the help of the community, that we can empower people to live their lives again. I had been commuting on mine twice a week (I work nights, so it's really four separate days riding). When the clocks went back, I reverted to the car at my wife's request - 13 miles of unlit country roads each way were making her worry for my safety. But when the clocks went forward, I started using the ebike again. In that time I have got much fitter and lost over 2 stone. I feel great and much healthier, so much so that I am now thinking of going back to a pushbike. This ebike might have saved my life. Spot on. In the last week I have seen a huge dog fox (let me get within 10m or so), a family of bullfinches scrapping in a hedge, sunshine on fields from a high vantage point, hills rising from a sea of low mist like tropical islands. I have said good morning to total strangers, nodded at fellow cyclists, and been surprised how courteous the vast majority of car and van drivers are. I love my cars and (motor)bikes, but you don't get any of this with an engine. For me it means recovering a practical means of personal transportation after several years without. I live in a region with very bad public transport which is just next to a region with fabulous public transport. Between the two is about 13 km of hilly road. I have done it on the push bike. I have walked it (often). But neither are a satisfactory solution. Now I can ride to the station and get on a train (bikes are allowed) or continue riding if the weather and my agenda permit. I can stay on after the last train and ride home (28 km). I also have a trailor for shopping in the supermarket. Having a motor means I have a larger choice of supermarkets and that I won't be spending hours pedaling like mad in granny gear with a full load of shopping. 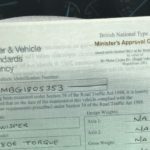 Full Throttle ebike legal again!